Reporting Services refer to SQL Server reporting services that offer a complete set of tools in order to manage, create and display the organizational reports in a very easy and better way. It’s a server side reporting platform having all functionalities to create and manage reports with the API’s used by the developers to do the job successfully. Reports can be altered, exported from one Microsoft document to anther i.e. from Word to Excel and more. Reporting services from SQL Server 2012 helps to make quick decisions, view the data in different new ways, easy sharing and amalgamation for more value from current tools and skills. SQL Server reporting services is a part of Microsoft SQL Server services. With SQL Server integration services (SSIS), data outside the server can also be integrated with many outer sources. 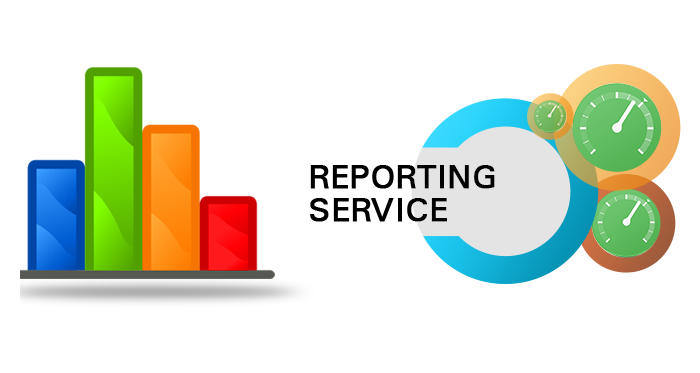 These reporting services are used for developing new applications, altering existing applications, creating reports for an enterprise portal. These Microsoft SQL Servers reporting services are used to prepare a report for performance review, report for different business requirements and much more. Orwer IT & Media Services renders Reporting services thus helping you to get the reports prepared by Microsoft SQL server SSRS. These will help you to get the Microsoft certified reports for all the necessary data. Our reporting services have Microsoft SSRS Certification thus ensuring you that the services offered by us are secure and safe. When you need to develop any server report, don’ hesitate to get in touch with us, we will certainly lend you a hand when needed helping you to make tasks easier. With these SQL server reporting services, the Microsoft reports can be customized with features such as custom code and programming extensions. With in -built SSRS extensions, the report creation becomes easier. Our reporting services are framed based on the needs of the clients. With a team of experienced people in SQL Server Reporting services , we have excelled to cater the needs of every client successfully. Our experts offer reporting services as well as help the clients to arrange the SRRS environment in a proper way on client’s server. We offer the complete reporting solutions from beginning to end leaving no stone unturned to satisfy our clients. Get in touch with us today to take advantage of our Reporting services.